Jake Stollery’s ORACLE « Adafruit Industries – Makers, hackers, artists, designers and engineers! Oracle is an amalgam of concepts tied together by the common thread of the user interface. To that end, it is a reflection of AI and UI as they exist in society’s consciousness: On first glance masculine, cold and austere; yet muted in its austerity and restrained by a warmth that is undeniably feminine. 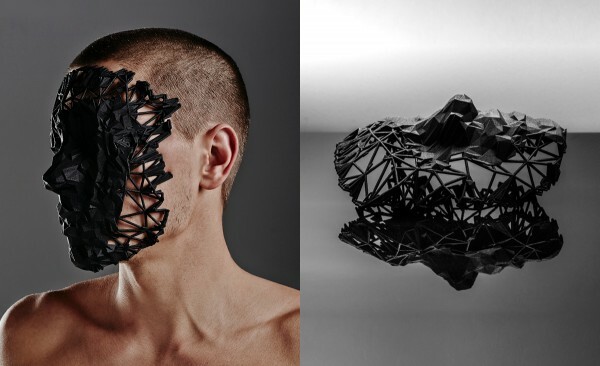 Oracle was crafted by utilising a hacked Kinect depth sensor as a 3D scanner, modeled in 3D space and 3D laser printed using a durable Nylon Polymer.